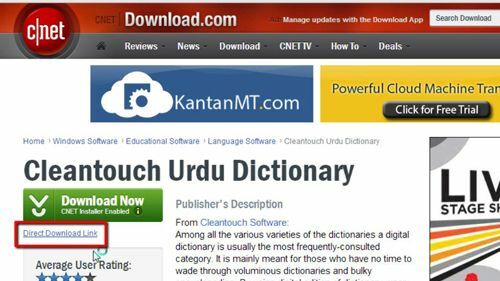 First you need to visit “http://download.cnet.com” and on the page that loads type into the search bar at the top “Cleantouch Urdu Dictionary” and press return. A list of results will load, click on the name of the first app in the list. A new page will load and you need to click the “direct download link” option on the left. 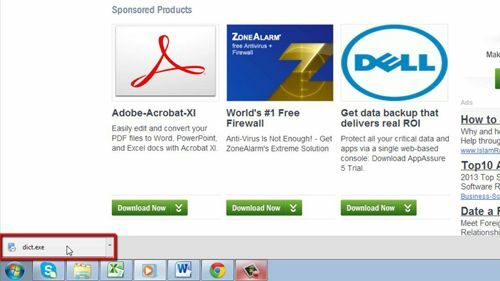 A program called “dict.exe” will start to download – this is quite large so you might need to wait for a while for the process to complete. Once the file has finished download you simply need to click on it. Click “Yes” in the dialog box that appears. Click “OK” in the dialog box that appears. Click “Next” then agree to the terms and click “Next” four more times. Wait for the installation to run. 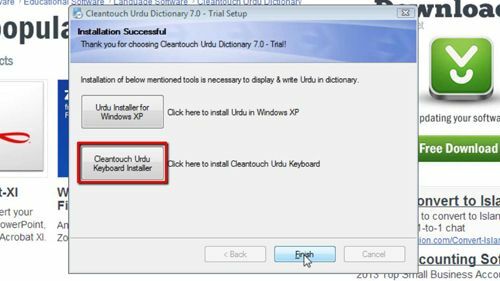 Click “Cleantouch Urdu keyboard Installer”, wait for a moment and then click “Finish”. The installation will finish and you just need to click “Close”. Now, click on the start orb and open the program, click “Continue” when possible. 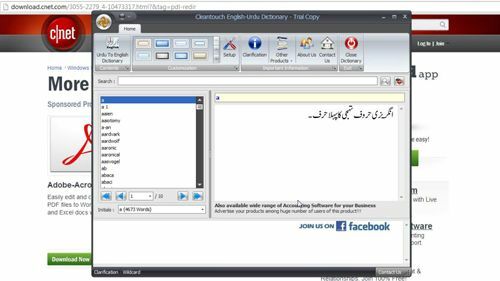 The English to Urdu dictionary will load and that is how to set up an Urdu dictionary on a PC.